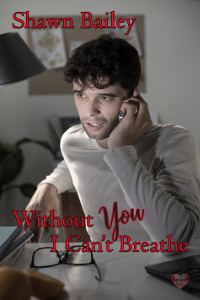 Richard is working at the Help Line his senior year and one night he answers the call that will change his life. On the other end is Shelby whoâ€™s attempting suicide. The only person on the campus by that name is another senior who is a classical pianist that heâ€™s been admiring since freshman year. With the help of another worker, Richard locates Shelby and gets him to the hospital â€“ saving his life. The two find that they have a connection and start dating. A date for pizza, a LGTB mixer and a memorable first time together in a planetarium build a relationship between the two. When it comes time to graduate, will the two be able to stay together or will opportunities pull them apart?